The new flagships go head-to-head! Has the time come to upgrade your device? If you’re looking for a brand new Android smartphone, there are some real stunners on the market. Two of the best have to be the Huawei P30 Pro and the Samsung Galaxy S10 Plus – so which should you choose? Let’s take a look at the two flagships ‘plus’ variants and see what they have to offer. 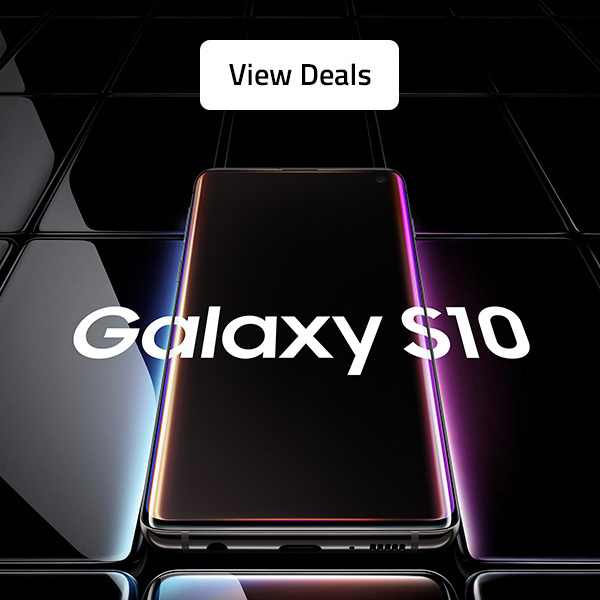 Packing a 6.4-inch Dynamic AMOLED screen and minimal bezels, the Samsung Galaxy S10 Plus is a beautifully simplistic device. It also has a slick punch hole display, which is extremely modern and doesn’t call too much attention to itself. On the back, you’ve got a horizontal camera setup. The phone comes in Prism White, Prism Black, and Prism Green. The OLED display on the Huawei is slightly larger, coming in at 6.47 inches. 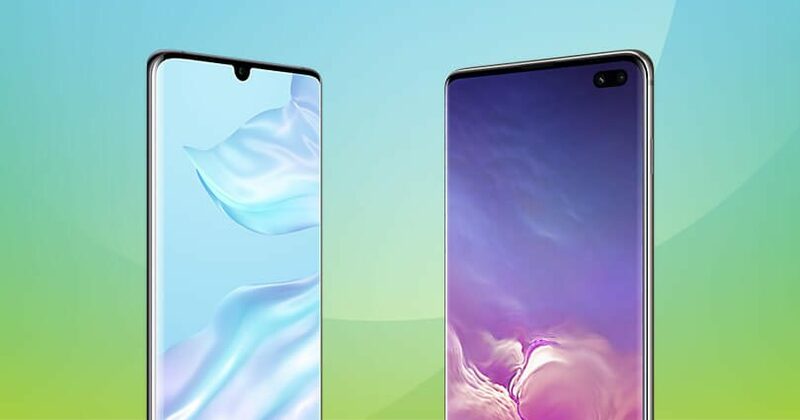 The device boasts a waterdrop notch on the top, which isn’t all that large. On the rear, you’ve got a vertical camera setup along with the logo. There are only three options when it comes to colour here – Aurora, Pearl White, Amber and Breathing Crystal. Next up, it’s time to think about the display. As already mentioned, there’s a Dynamic AMOLED screen on the Samsung Galaxy S10 Plus. There’s also a 19:9 aspect ratio and 1440 x 3040 resolution. You can expect a high-quality look when you’re using this one. On the other hand, the Huawei P30 Pro has an OLED screen with a 19.5:9 aspect ratio and 1080 x 2340 resolution. The takeaway is that the Samsung screen is a little better than the Huawei screen. However, to most phone users, that may not matter. So, what about the snappers? 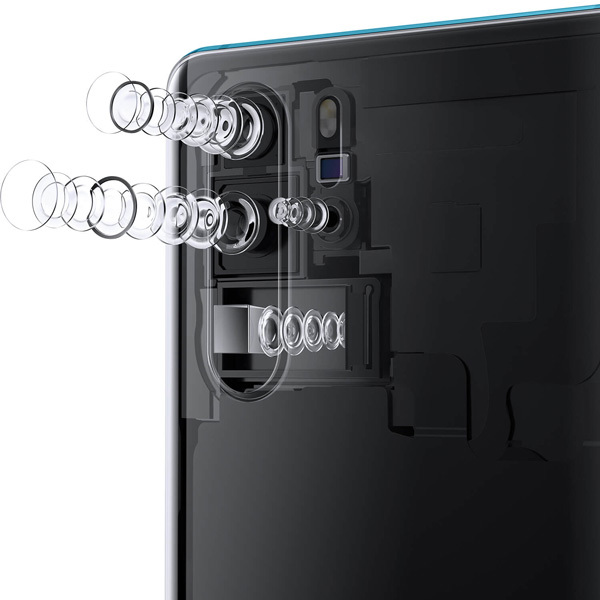 Both the Huawei P30 Pro and Samsung Galaxy S10 Plus, have a triple lens setup on the back. 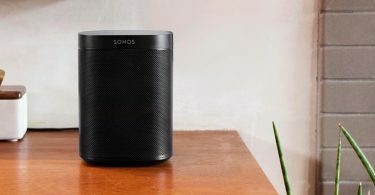 The Samsung boasts three main cameras, a 12-, 12- and 16-megapixel lenses along with a wide-angle sensor, telephoto sensor, and ultra-wide sensor. The Huawei is an impressive setup with 40-, 20- and 8-megapixel cameras. There’s the main sensor, an ultra-wide sensor and zoom lens. Moving onto the selfie cameras, the two smartphones have seriously pulled it out of the bag. 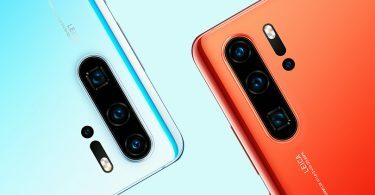 The Huawei has a massive 32-megapixel front-facing camera, while the Samsung actually has a dual 10- and 8-megapixel setup. Both devices come with autoflash, digital zoom, face detection, and a touch to focus feature too. 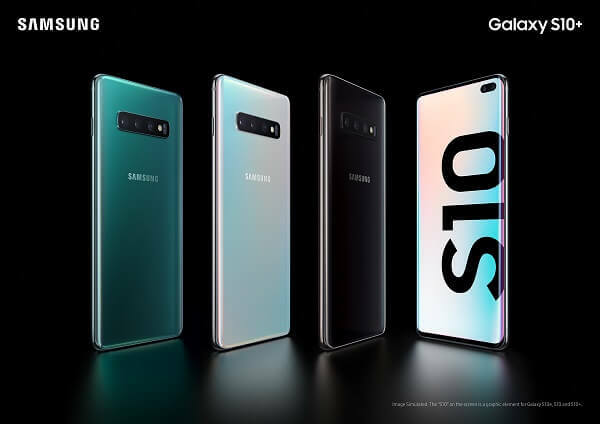 The Samsung Galaxy S10 Plus has a brand new interface – One UI. It may make the device faster and means that it’s more user-friendly than ever before. There’s also been a few upgrades to Bixby here along with the addition of Bixby Routines, which remembers how you use your phone. The AI learns from your regular actions to make opening and closing apps faster and more intuitive. The Huawei P30 Pro also has a fairly easy-to-use interface and a couple of features you need to know about. You’ve got the AR Measure system, which means that you can measure real-life objects simply by pointing your camera at them. The device also offers One Hop sharing with the Huawei MateBook, which could be a bonus. Now that we’ve looked at the main features, how about power and performance? We’ll start with the Samsung. It’s got 8GB RAM and the remarkable Exynos 9820 chipset. Add that to the 128GB internal memory and you’ve got a super-fast and super-spacious device. There’s also a 4100 mAh battery pack here and quick, wireless charging 2.0. Of course, there’s the Wireless PowerShare feature too which allows you to use the device as a charging pad. The Huawei P30 Pro has a strikingly similar setup. There’s the HiSilicon Kirin 980 chipset, 128 ROM and 8GB RAM here. When it comes to the battery, you’ve got a slightly bigger 4200 mAh offering. You can also charge up to 70% in just 30 minutes with the HUAWEI SuperCharge and use the Reverse Charge to juice up other wireless gadgets. So, Are you Team Huawei or Samsung? Let’s talk money! 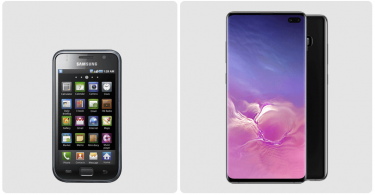 How much will these smartphones set you back? If you were hoping to decide which phone to get based on their price tags, we have some bad news for you. 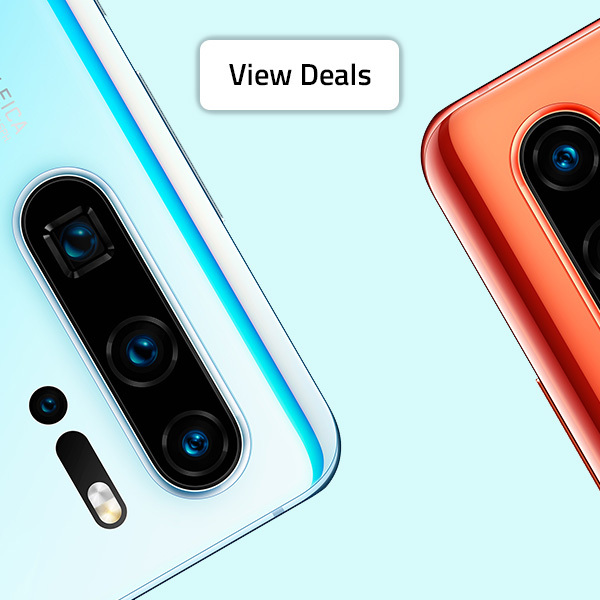 The flagship phones cost the same. Yes, both devices come in at £899 when you buy them outright. However, it’s worth looking at some of the pay monthly contract deals on the Buymobiles.net site to see whether you can get a bargain. 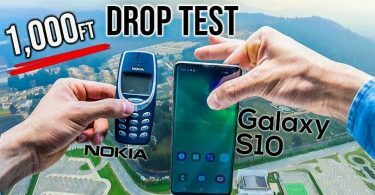 So, which phone should you choose? Well, there’s very little in it here. Both the Samsung Galaxy S10 Plus and Huawei P30 Pro are excellent devices with massive cameras, a sleek design and a whole load of power. The decision should come down to which brand works for you and the style of device you’re after. Take the time to consider both devices before choosing the right one for you.